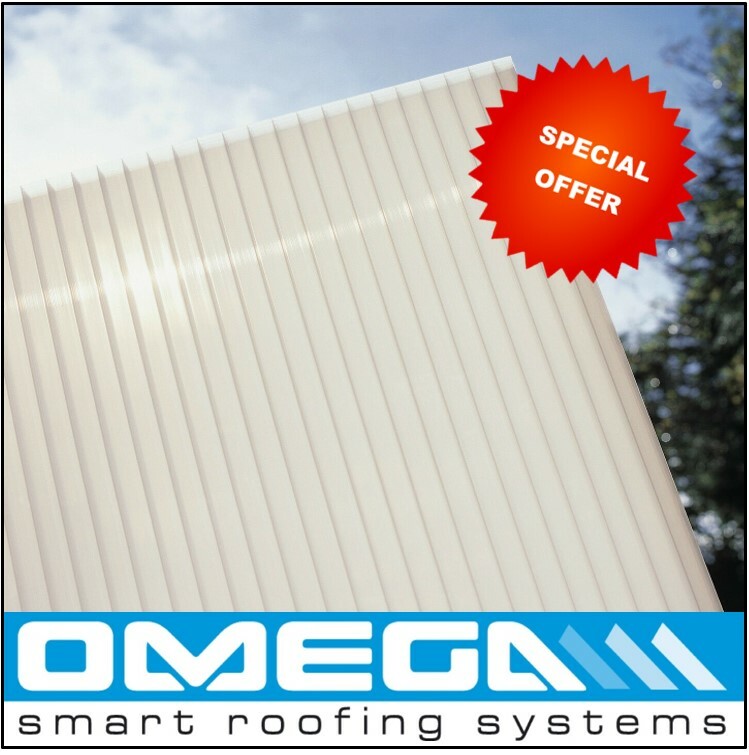 SPECIAL OFFER - 16mm Triplewall Polycarbonate supplied in Opal. 15% off normal retail price. Our 16mm Triplewall Polycarbonate is supplied as standard sheets with the following specification. Applications include carports, open-sided structures where good thermal insulation is not a requirement and light-duty (conservatory) roofing. Order online today for quick delivery. See our complete 16mm polycarbonate category in our shop. I would recommend your affordable products (16mm Triplewall Polycarbonate Offer | 16mm Polycarbonate Sheet) to anyone else considering this product, as it has been superb. Omega Build Shop | 16mm Triplewall Polycarbonate Offer | 16mm Polycarbonate Sheet. You are viewing 16mm Triplewall Polycarbonate Offer | 16mm Polycarbonate Sheet, buy online today!